Chronic fatigue syndrome (CFS) causes persistent fatigue (exhaustion) that affects everyday life and doesn’t go away with sleep or rest. Chronic fatigue syndrome is also known as ME, which stands for myalgic encephalomyelitis. There’s some debate over the right term to use for the situation, but these pages will refer to the condition as CFS. It is a serious situation that can cause long-term illness and disability, but a lot of people – particularly children and young people – improve over time. The causes of CFS aren’t well-understood. Some theories include viral infection, psychological stress, or a mixture of factors. Because no single cause has been identified, and because many other illnesses produce similar symptoms, CFS can be complex to diagnose. There are no tests for CFS, so your doctor will have to rule out other causes for your fatigue. People are sometimes affected by Chronic fatigue syndrome in cycles, with periods of feeling worse and then better again. Symptoms may sometimes even disappear completely (remission). However, it’s still possible for them to come back again later (relapse). The cycle of remission and relapse can make it difficult to manage your symptoms. 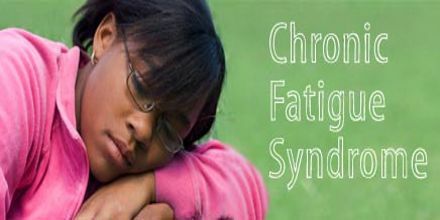 The cause of Chronic fatigue syndrome is unidentified. Researchers speculate that viruses, hypotension (strangely low blood pressure), a weakened immune system, and hormonal imbalances could all be contributing factors. It’s also probable that some people are genetically predisposed to develop CFS. Though CFS can sometimes develop after a viral infection, no single type of infection has been found to cause CFS. Some viruses that have been studied in relation to CFS include Epstein-Barr virus (EBV), human herpes virus 6, Ross River virus (RRV), rubella, Coxiella burnetti, and mycoplasma. Researchers have found that a person who has been infected with at least three of the implicated pathogens has a greater chance of developing CFS. There are specific guidelines issued by the National Institute for Health and Care Excellence (NICE) about the diagnosis and management of Chronic fatigue syndrome. 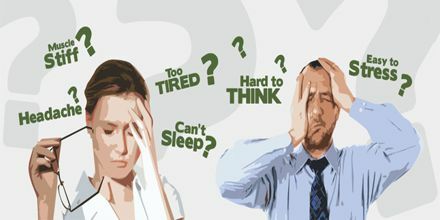 NICE says a diagnosis of CFS should be considered if you meet specific criteria regarding your fatigue – for example, it can’t be explained by other conditions – and if you also have other symptoms, such as sleeping problems or problems thinking and concentrating. The diagnosis can then be confirmed if these symptoms are experienced for several months. 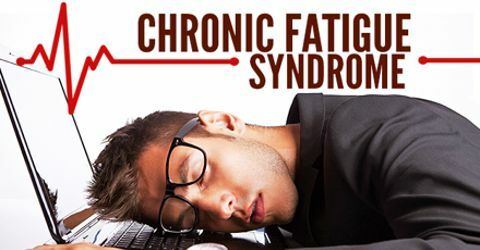 Treatment for Chronic fatigue syndrome may be proficient to reduce the symptoms. Everyone with CFS responds to treatment differently, so your treatment plan will be tailored to you. Most people with Chronic fatigue syndrome get better over time, although some people don’t make a full improvement. It’s also likely there will be periods when symptoms get better or worse. Children and young people with CFS are more likely to recover fully. Home Remedies and Lifestyle Changes: Making some changes to your lifestyle can help reduce your symptoms. Limiting or eliminating your caffeine intake will help you sleep better and ease your insomnia. You should limit your nicotine and alcohol intake, too. Try to avoid napping during the day. It’s also important to pace yourself during activities. Overexertion can make your symptoms worse and bring on an episode of fatigue. Avoid emotional and physical stress. Take time each day to relax or participate in activities you enjoy. Therapy: Two types of therapy appear to benefit people with CFS. One is psychological counseling to help you cope with CFS and improve your mindset. The other is physical therapy. A physical therapist can evaluate you and create an exercise routine for you that gradually increases in intensity. This is known as graded exercise therapy, or GET. Medications: No one medication can treat all of your symptoms. Also, your symptoms may change over time. In many cases, CFS can trigger depression, and you may need an antidepressant to combat it. If lifestyle changes don’t give you a restful night’s sleep, your doctor may suggest a sleep aid. Pain medication can also help you cope with aches and joint pain caused by your CFS.